Sting | News | Sting To Headline The Duke Ellington School of the Arts 7th Annual Performance Series of Legends on March 12, 2014! Sting To Headline The Duke Ellington School of the Arts 7th Annual Performance Series of Legends on March 12, 2014! 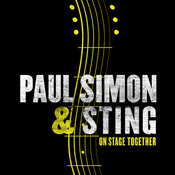 The Duke Ellington School of the Arts is pleased to announce that Sting will headline the seventh annual Performance Series of Legends benefit concert on Wednesday, March 12, 2014 at 8:00 pm at the Music Center at Strathmore, joined by special guest Paul Simon plus an additional surprise performer. This concert is the latest installment of the Duke Ellington School of the Arts' Performance Series of Legends that has previously featured Dave Chappelle, Denyce Graves, Stevie Wonder, Earth Wind & Fire, Smokey Robinson and Patti Labelle. Led by Founder Peggy Cooper Cafritz and Head of School, Rory Pullens, The Duke Ellington School of the Arts has taken an innovative, entrepreneurial approach to fundraising in order to support its dual arts and academic curriculum. "We are absolutely thrilled that Sting has offered his resources and talents to our school. His contribution through this performance series not only gives our students inspiration and valuable exposure, but provides a source of revenue that enables us to continue the important mission of providing arts education excellence to deserving students who wouldn't otherwise have this opportunity," states Rory Pullens, Head of School and CEO of the Duke Ellington School of the Arts. Individual tickets are available now via Ticketmaster, with benefit prices ranging between $250 and $750. VIP tickets are $1,000 each and will include access to a private reception prior to the concert. Sponsorship levels range from $5,000-$100,000 and are available through The Ellington Fund at 202-333-2555 or info@ellingtonarts.org. Please visit www.ellingtonschool.org for further details or to learn more about the Duke Ellington School of the Arts. Sting and Paul Simon are rehearsing for their upcoming tour, a couple of longtime friends and neighbors preparing to take turns singing some of each other's biggest hits. It was Simon's idea for the tour, hatched when he came downstairs in their New York apartment building to ask if Sting would be interested. Of course, Sting told him, having first heard Simon & Garfunkel when he was a 15-year-old in England. They have started the process of selecting the set list for the tour, which opens Feb. 8 in Houston. Sting said Simon has asked him to sing "Bridge Over Troubled Water," and Sting asked if they could include "America." Pre-Sale Tickets For ''The Last Ship'' World Premiere in Chicago!